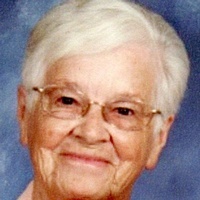 Earline Roberta Bales Edwards, 83, Elizabethton, passed away Monday, February 4, 2019 in the Sycamore Shoals Hospital. Born September 26, 1935 in Greeneville to the late Earl & Edith Morgan Bales. She was a homemaker. In addition to her parents, she was preceded in death by her husband of 65 years, Tommy Gerald Edwards who passed away August 1, 2018 and by two brothers: Joseph & Randy Bales. She was of the Baptist Faith. Survivors include her children: Michael (Teresa) Edwards, Lexington, SC., Gary (Sharon) Edwards, Linda (Rick) Arnold and Lois Hylton, all of Elizabethton. Six Grandchildren, 12 Great Grandchildren. Her Siblings: Dewey Bales of Florida, Wayne Bales of Michigan and Eddie Bales of California, Juanita Grosch and Karen Esquardo both of Florida. Her extended family, David, Jessica & Caraleigh Helton. Her Great Aunt: Bertha Miller, Greeneville. Several nieces & nephews. Funeral Services will be conducted at 7 p.m. Wednesday in Memorial Funeral Chapel with the Rev. Jack Roddy officiating. Graveside Service will be conducted at 12 noon Thursday, February 7, 2019 in Happy Valley Memorial Park. Music will be provided by Billy Anderson. Active Pallbearers who are requested to assemble at the funeral home at 11:20 a.m. Thursday will be; Chris Edwards, Jason Hylton, Neyland Sluder, Colby Garland, Timmy Garland, Steve Alexander, John Harmon and David Helton. The family would like to express a special “Thank You” to the Staff of Sycamore Shoals Hospital for the excellent care she received. In lieu of flowers memorials may be made in memory of Earline to St. Jude Children’s Research Hospital, 262 Danny Thomas Place, Memphis, Tn. 38105. The family will receive friends from 5 to 7 p.m. Wednesday in the funeral home. Family and friends will assemble at the funeral home at 11:20 a.m. Thursday to go to the cemetery. Condolences may be sent to the family at our web-site www.memorialfcelizabethton.com.